Leaders Mamelodi Sundowns retained a three-point advantage in the South African Premiership and Orlando Pirates climbed one place to second after they drew 0-0 in Soweto on Monday. Defending champions Sundowns have 44 points with six rounds remaining, Pirates and Bidvest Wits 41 each, Cape Town City 40 and SuperSport United 39. "My players are soldiers," said proud Sundowns coach Pitso Mosimane after one of the highest profile matches in the league season. "They have to be very disciplined and sacrifice a lot in their social lives because we have so many domestic and African fixtures to fulfill." 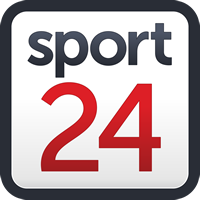 Pirates' Serbia-born coach Milutin 'Micho' Sredojevic said: "The last touch in the attacking third of the pitch let us down, as it has so often this season. "We could not outscore Sundowns, but we did outplay them, and that is a tremendous morale boost ahead of our visit to Wits this Saturday." A match delayed 15 minutes by traffic congestion began with the teams standing silently in honour of fellow Premiership footballer Sinethemba Jantjie, who died on Monday in a car crash. Winger Jantjie, 30, was part of the Free State Stars squad and his good form had won him a contract with Wits next season. The match got off to a storming start with Sundowns almost scoring within 30 seconds as Thapelo Morena connected with a cross, but his shot was off target. Pirates thought they had taken the lead after six minutes when goalkeeper Denis Onyango let the ball slip into his net, but it had gone out of play before being crossed. As the teams settled in a clash of former African champions, Sundowns were often content to soak up pressure and counterattack, leaving Pirates to dominate possession but not chances. The longer the match went on the likelier a goalless stalemate became with both sides restricted to half chances against well organised defences.